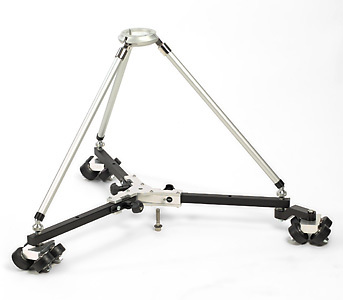 Cambo Track Dolly VPD-15 is the ideal support for the Cambo Pedestals. Optimised to work with the UniTrack system width, the Dolly has the ability to compensate variations in the track width. VPD-15 includes a spider for maximum stability with the Cambo Pedestal VPS-1 or VPSF-600.